I want to share this smocked bib with you. When I found out my best friend Roberta is to be a first time grandma, of a sweet baby girl, I just have to make her something special. I can not take credit for designing it. 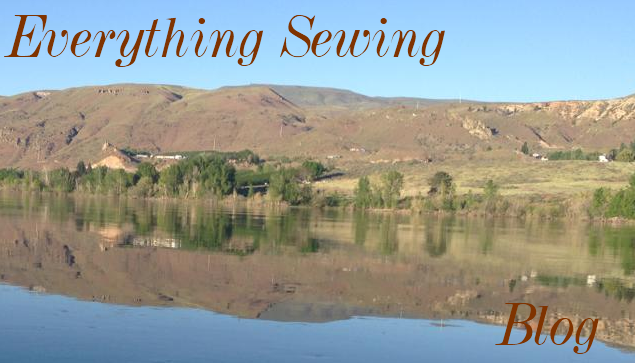 It was a post at Everythingsewing. Just to darling not to share. I thank the poster named challenged. Instructions as posted by challenged follow. I will be making this bib. I made up my own pattern for a bib. Now, important note: Pleat FIRST with up to 11 half space rows. Flatten out THEN sew on lace, unpicking the last inch or sew of the holding threads on the bottom rows. Smock any pattern you want that will fit in that space....I like geometric ones because they sew up fast though I have done a couple of picture ones too. Cut bias strip 1 & 1/2"w x 8 & 1/2" long. block bib in semi circle so it measures 6 & 1/2" smocked edge to smocked edge keeping center two inches tight and fanning out the remainder. Just a note to let you know with my bishop dresses I usually smock and add the bias on the straight, not blocking the conventional way. However, with the bibs I smock on the straight but it seems to hold its shape better if you block it in a semi circle before adding the bias. Hope these instructions aren't to convoluted to understand and you have fun making them! I am not at my computer with pictures on it so I will put up a picture via another post so you can see the end results. Our smocking group chose the padded hanger as it's group project this month. Part of the decision, was to show smockers there are several projects they can do long after they have finished smocking dresses. I wish I had a better picture of the fabric, it has cute little clothes on it. Perfect for Zoe. 9"x45" piece of fabric. 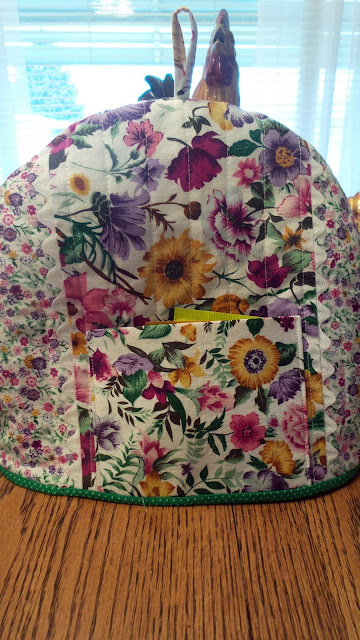 I used a fat quarter and just cut it in half and sewed the pieces together. Padded Hanger--They are so easy to find, why pad your own? 1: You can hem the long sides now or wait to do it later. I do not like to hem before putting through my pleater, but, it's your choice. 2: Mark the center of the fabric. Run 13 rows of pleating threads, 6.rows one each side. I pleat 13, then remove the center thread, leaving 6 on each side for design. 3.Tie off piece to 10-1/2"
You can get as elaborate as you like, or simple. It is your creation. When I assembled mine. I marked the center, where the hanger would go, by measuring the hanger and then my smocked piece. I did a small machine button hole, but you could just do a hole and secure it with fraycheck. It is not going to get any wear at all. I had an already padded hanger from the dollar store. Once I had the button hole made, I sewed the ends together, using a french seam. Slipped it over the hanger and secured the bottom by slip stitching the pieces together. This project was such a first for me. It all started when our quilt shop wanted to do their first mystery quilt challenge. I had no idea what a mystery quilt even was. I do not think my friend Louise knew what it was either but she was excited for us to join. Join we did, and for weeks we would get little clues. We would then cut and bag pieces of fabric. The only one thing I did know, was, the colors would be red, white and blue. The other thing I knew is, how ever this quilt turned out it would go to my granddaughter and her hubby who is in the military. With out to much more chatter here it is. A first for using a quilter or as I call them a long arm person. Didn't she do a beautiful job? I didn't want to say much about this project, as I wanted it to be a surprise. The quilt is now in it's new home.